Serving Tray for Lion Brew from the Bakersfield Brewing Company out of Bakersfield, California. 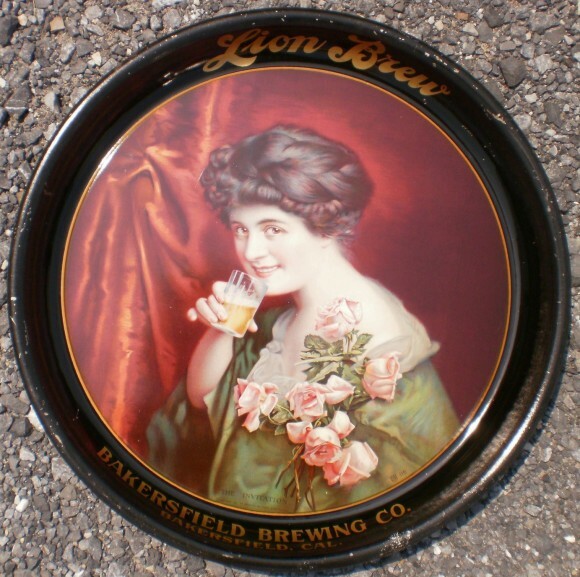 This tray depicts a beautiful woman taking a drink of the Brewery’s lager. These trays can be quite valuable depending on condition.